Prom nights are really getting popular. They are a great way to celebrate the end of year and a chance to dress up and feel special. Our Prom night photography is a way to remember the occasion. 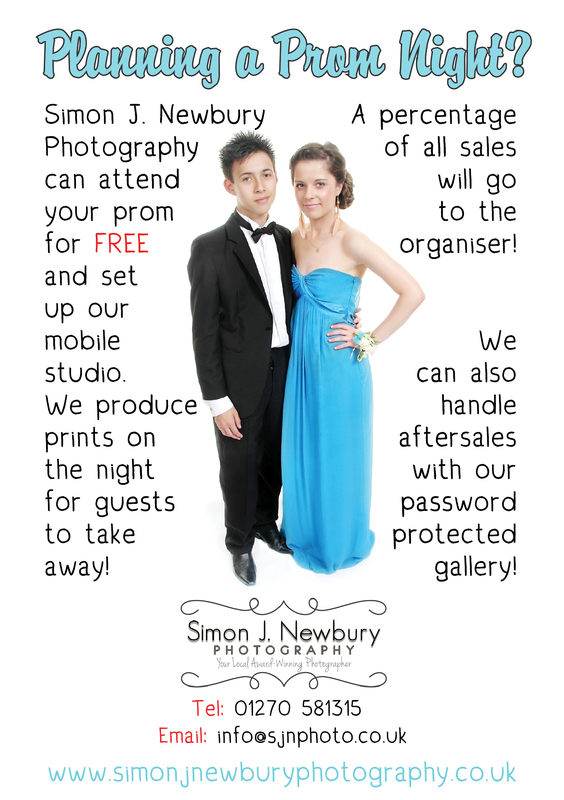 We are happy to attend your prom night and set up our mobile studio. We have a large white screen as well as professional studio lighting to get a wonderful photograph of the guests in small groups or with their partner. We are also set up to make prints on the night (within minutes) which is mounted and presented in a protective film bag. A percentage of sales will be given to the organiser. You can rest assured that we are fully covered by Public Liability insurance. After the event we can post the images from the night into a special password protected gallery so family members can log in and purchase duplicate images or enlargements. We are also able to offer stunning laminated canvas prints, stretch wrapped and ready to hang and beautiful elegant acrylic panels which make wonderful wall art. We can also take documentary photos of the event should you require this service! We have experience of photographing many such events previously at venues such as Crannage Hall, Wychwood Park and Crewe Hall. We can also cover guest speak-speaker events where guests can be photographed with the guest speaker and have their image signed on the night as well as black tie balls or corporate events! Please feel free to get in touch to discuss how our event photography can help you raise extra funds at your event!